iTAC Software AG, an independent company of the mechanical and plant engineering group Dürr, provides Internet-enabled information and communication technologies for the manufacturing industry. Founded in 1998, the company is one of the leading MES providers in Germany. 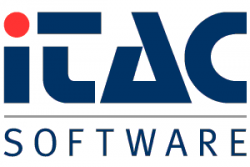 iTAC Software AG has its headquarters in Montabaur (Germany) as well as a branch in the USA and a global partner network for sales and services.